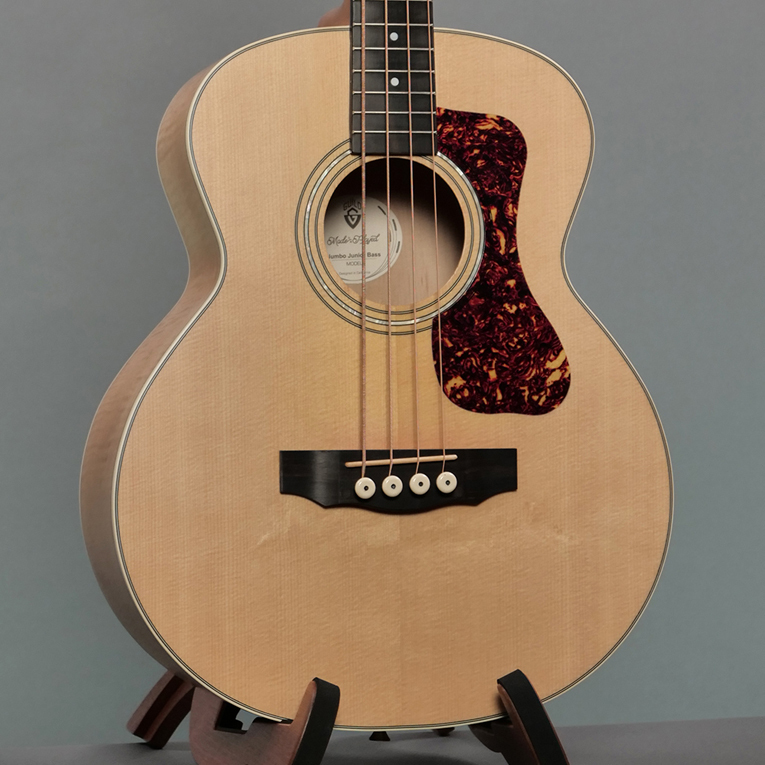 This mid-sized orchestra shaped acoustic is equally suited for strumming and fingerpicking, and produces a sweet, balanced tone. The perfect choice for the versatile musician, the OM-150CE features a solid Sitka spruce top, rosewood back and sides, and an elegant cutaway for access to higher frets. The hidden Guild/Fishman AP1 with Sonicore pickup gives this guitar a perfectly amplified boost for gigs and live performances. 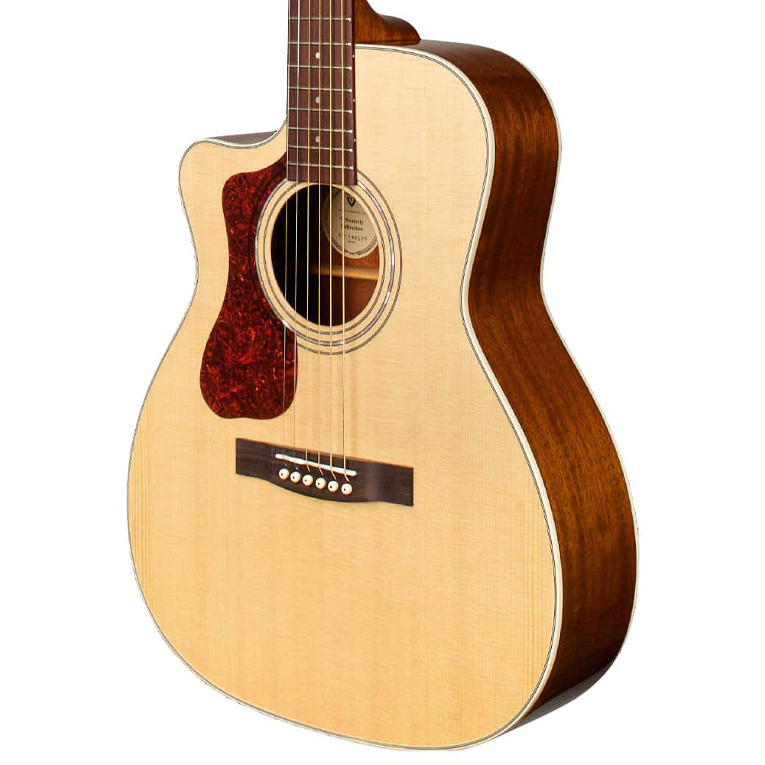 Other premium features include a rosewood fingerboard and bridge, bone nut and saddle, and mother-of-pearl rosette. 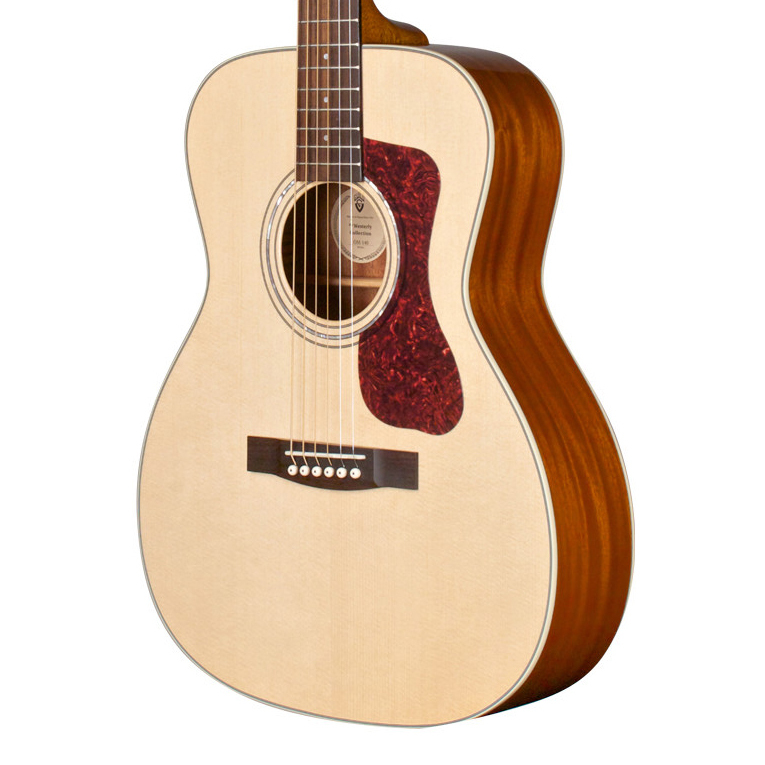 This model also has a 1¾” nut width on a vintage shaped Guild neck, iconic Chesterfield headstock emblem reminiscent of 1960s Guilds, period-correct tortoiseshell pickguard, and Guild’s new lightweight polyfoam case.